Rubber strainer can get rid of the impurities from rubber material or reclaimed rubber by pushing and delivering these materials. Rubber strainer is made up of the screw, barrel, strainer head and gearing etc. The strainer head has the orifice plate and filter net, and the orifice plate supports the filter net. The orifice plate also can be used to as a discharging opening and its diameter is 4-8mm. Making rubber granule generally apply in adding accelerators or sulphur, plastic-rubber mixing and so on. 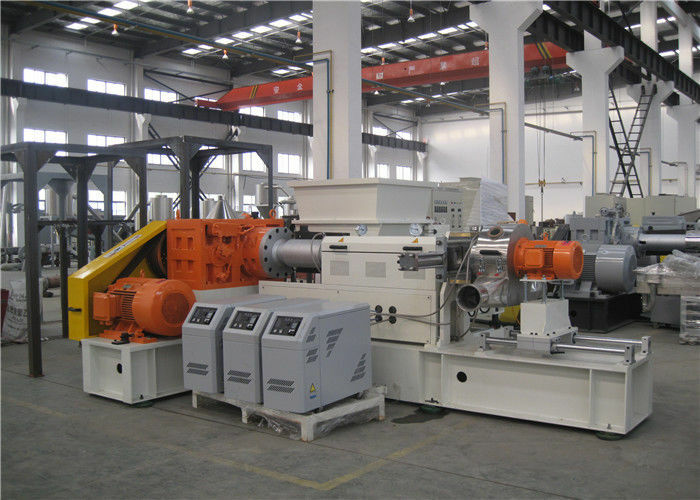 Kecheng's deisgn generally equip kneader and single screw extruder, separant agents absorb and recovery system, mould temperature controller and water chiller, pelletizing and other auxiliary machines.